Like the distinctive taste of an aged liquor, the warm light from these chochin seems to well up slowly. 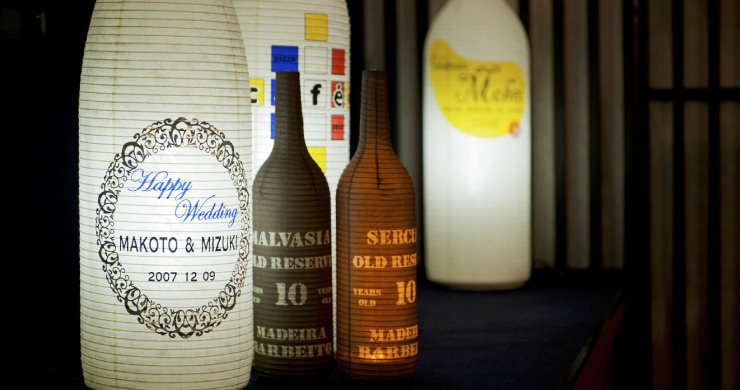 Enjoy using these faithful recreations of Japanese sake, beer, and wine bottles as interior objects. 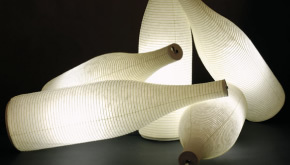 The light glowing through the Japanese washi rice paper of these chochin has a calming effect, enabling the chochin to make a direct statement for your establishment or products.